The Moto G5S Plus is one of Motorola's smartphones that were slated for an Android Oreo update at some point. 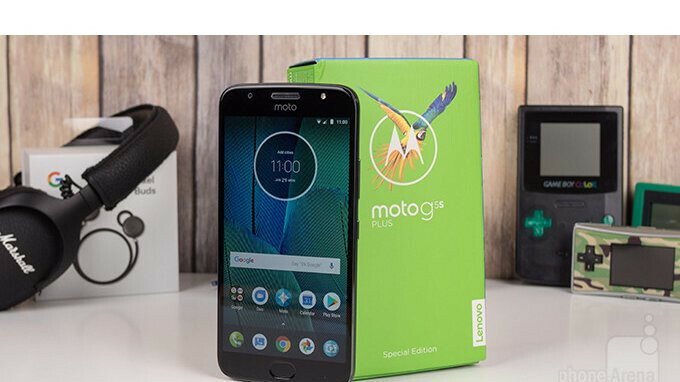 Well, it looks like today is the day the Moto G5S Plus owners are getting the promised update, or at least that's what Motorola claims. The US company has just confirmed that it has just released a new software update for Moto G5S Plus and that the update brings Android 8.1 Oreo to the phone along with other improvements. Among these enhancements, Motorola mentions multitasking features, more efficient notification controls, improved data saver and battery features, new power menu UI and Bluetooth improvements. On top of that, the Moto G5S Plus is getting the June security patch, which probably makes it the first smartphone to get it since Google hasn't yet released the update yet. The update is rolled out OTA (over the air) in waves and it's recommended to update when your Moto G5 Plus' battery is at least 50% charged. Since this could be a pretty sizable download, you might want to connect your phone to a Wi-Fi network. Killer little phone for the price, picked one up at costco for the lady and she loves it.